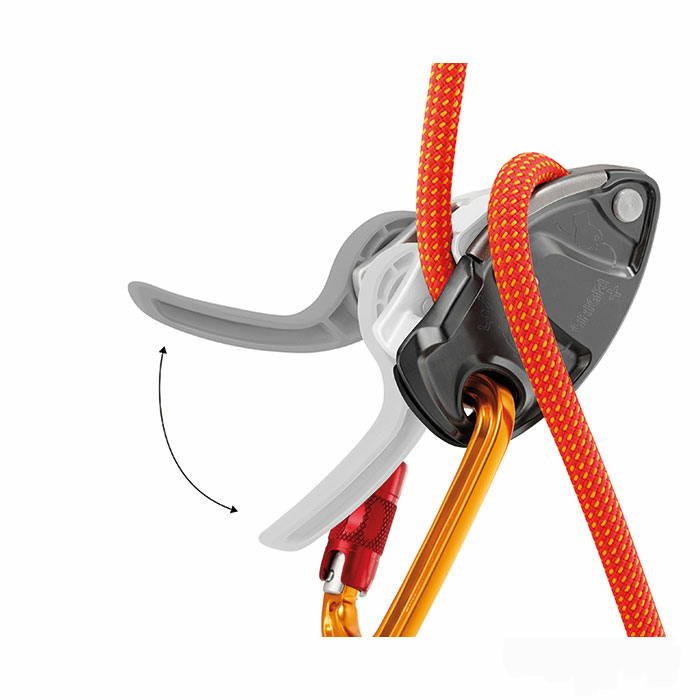 Intended for all users, GRIGRI + is a belay device with assisted braking and anti-panic handle. Compatible with single ropes from 8.5 to 11 mm. Its wear plate makes it suitable for intensive use, both in the gym and at the crag. The design of the handled camming mechanism enables exceptional descent control. The selector knob allows you to choose between two belay modes: top-rope or lead climbing. 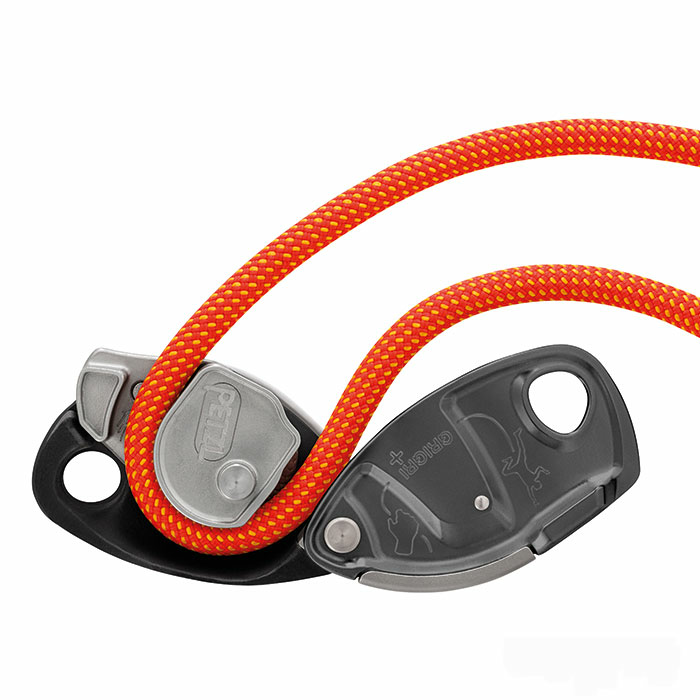 The top-rope mode and the anti-panic handle make the GRIGRI + particularly suitable for learning how to belay. 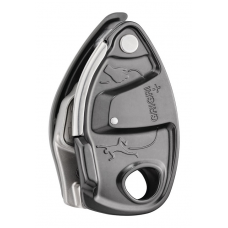 - the selector knob enables the choice of either top-rope or lead belay mode. The top-rope belay mode facilitates taking in slack and makes for a more comfortable belay.